“It’s the best thing that could have happened to me because I feel safe in this country,” she told Al Jazeera by phone. 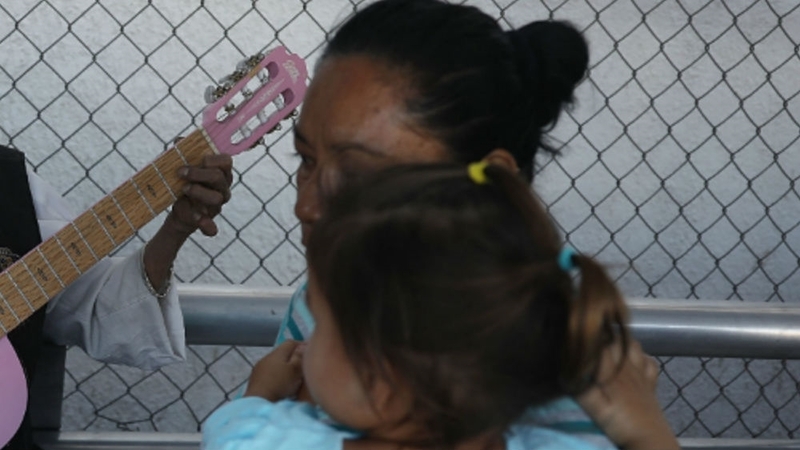 Now, though, after a decision by US Attorney General Jeff Session in May that makes it harder for domestic abuse survivors to apply for asylum, Montes worries about other women in Central America that come to the US to seek reprieve from violence. Sessions’ decision effectively reversed precedent put in place during the administration of former US President Barack Obama that allowed more women to cite domestic violence and fears of gang violence as part of their asylum application. “Generally, claims by aliens pertaining to domestic violence or gang violence perpetrated by non-governmental actors will not qualify for asylum,” Sessions wrote in his ruling. “The mere fact that a country may have problems effectively policing certain crimes – such as domestic violence or gang violence – or that certain populations are more likely to be victims of crime, cannot itself establish an asylum claim,” he said. The ruling has been slammed by human rights advocates and attorneys, who call it an assault on women’s rights. “It essentially says that if you are abused at home or by non-government actors, and Sessions calls this private crime, you do not deserve protection under the nation’s asylum laws,” said Dorchen Leidholdt, director of the Center for Battered Women’s Legal Services at the Sanctuary for Families. “When women are abused, and suffer gender-based violence, it typically happens in private,” she told Al Jazeera, adding the decision will “harm thousands and thousands of women”. Ashley Huebner, a lawyer with the National Immigrant Justice Center’s Asylum Project, says the administration’s decision to undermine protected asylum grounds for survivors of domestic violence is a “purposeful misunderstanding” of the dire situation of gender violence in Central America. On average, every 18 hours a woman was killed in El Salvador in 2017, according to data from the Institute of Legal Medicine. The National Women’s Development Institute (Isdemu) recorded 152 femicides between January and May 1 of this year in the country. UN Women has said that these “gender-related killings are the last act – a culmination – in a series of violent acts” that includes domestic violence, which happens in the region with domestic violence rates as high as 50 percent. For Leidholdt, it’s not only that domestic violence is pervasive in these countries but the government response also falls short. “Governments are not putting in the measures to protect victims and that means that the violence reaches life-threatening proportions and victims are denied protection,” she said. The American Civil Liberties Union (ACLU) recently filed a lawsuit against the Trump administration, including Sessions, over the new policies. On Thursday, a federal judge blocked the government from deporting the ACLU’s clients in the case, including a female asylum seeker who had earlier that day been put on a plane back to her home country of El Salvador. According to the ACLU, US District Judge Emmet Sullivan ordered the government to “turn the plane around”. The woman fled El Salvador with her daughter to “escape two decades of horrific sexual abuse by her husband and death threats from a violent gang,” the lawsuit said. The woman’s husband “routinely raped, stalked and threatened her with death, treating her as his property, even after they were living apart,” it added. “Those survivors have now lived in the US for a couple of years, preparing for their cases with the hope that they’ll be able to successfully fight their case. I worry whether judges will be willing to look at their claims as valid in light of this decision,” said Karla Altmayer, a lawyer working with immigrant survivors of domestic violence. I’ve already gone through all of that but I know how afraid they must be. Afraid they will deny you asylum, afraid that they’ll send you back. One is always afraid. Other lawyers like Leidholdt have also already begun to see the effect of May’s decision. “I had the unenviable task of telling three women who were terribly persecuted in their home country on the basis of gender, suffered life-threatening abuse for decades. I had the unenviable task of telling them that it was much more difficult for them now,” Leidholdt said. “I’ve already gone through all of that but I know how afraid they must be,” she said.